My favorite part of the work day at Radwell International’s headquarters is saying hello and greeting all of the employees that come through the main entrance first thing in the morning while I’m taking care of the fish. What drives me to be the best at my job is my co-workers. Seeing them smile when they view the fish tanks and knowing that it’s partially because of my hard work makes me happy. 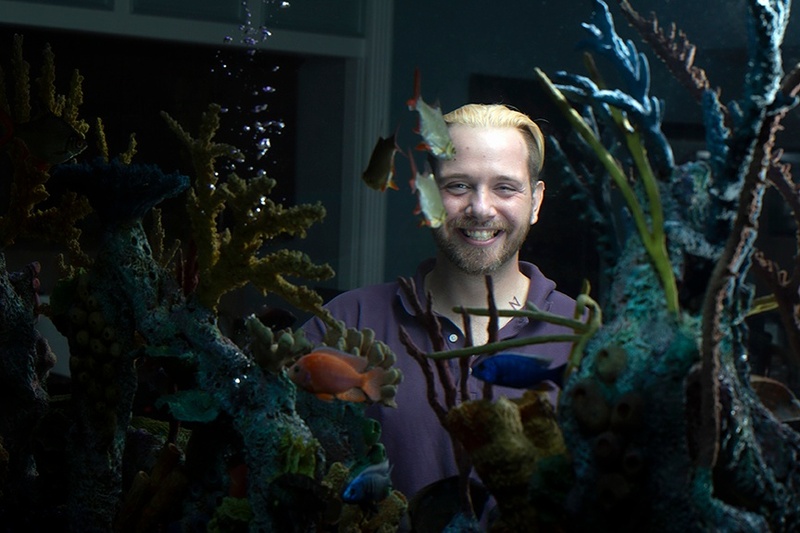 There's also over a thousand fish who rely on me and that I know are happy. There are a large variety of tanks throughout our headquarters building. One of the more unique tanks is in our IT department, where we have a Piranha tank. It’s a 75 gallon tank that has 8 Red-Bellied Piranha. These Piranha were actually ordered from the Amazon River and we got them as babies. They’re our oldest fish in the building and they’re still only considered juveniles. What I like most about my job at Radwell International is taking care of all the fish. I have over a thousand fish and they all depend on me to make sure that they’re happy, clean, and fed. The part of the day that’s the busiest for me is first thing in the morning. My shift starts at 3 a.m. and I only have a few hours to get a lot of work done before my fellow associates come to work. In that time period I am responsible for cleaning all the tanks, refill the water, and use all my equipment that may be a little too loud for me to use while others are in the vicinity working. 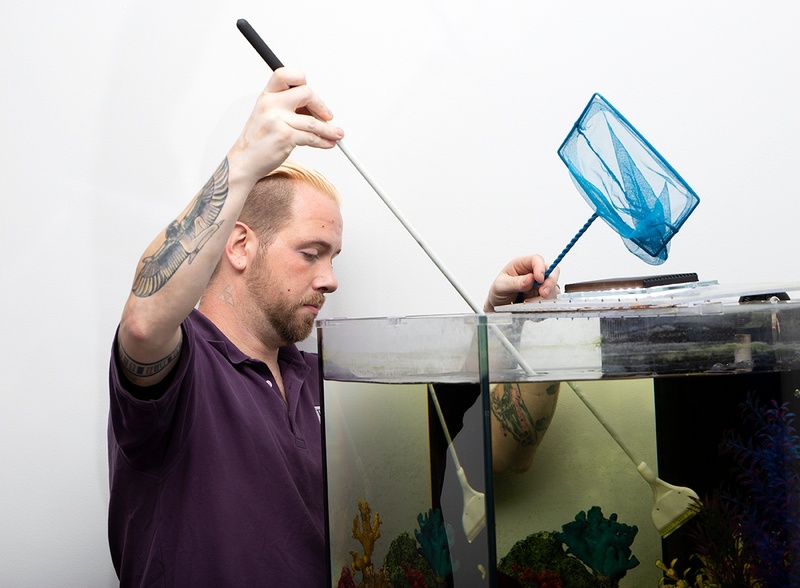 Radwell International’s largest fish tank is an 800 gallon tank that holds 725 gallons of water. It’s 8 feet tall and it holds some of our larger fish. 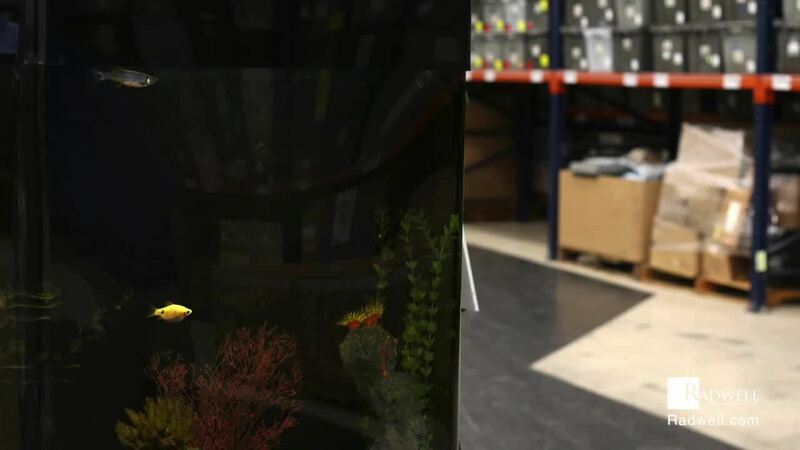 2 of my favorite fish tanks at Radwell International’s Headquarters would be the tanks that are home to our Columbian Wolf Fish and our Vampire Payara. Both of these fish are very large A-Type predators that are just awesome. 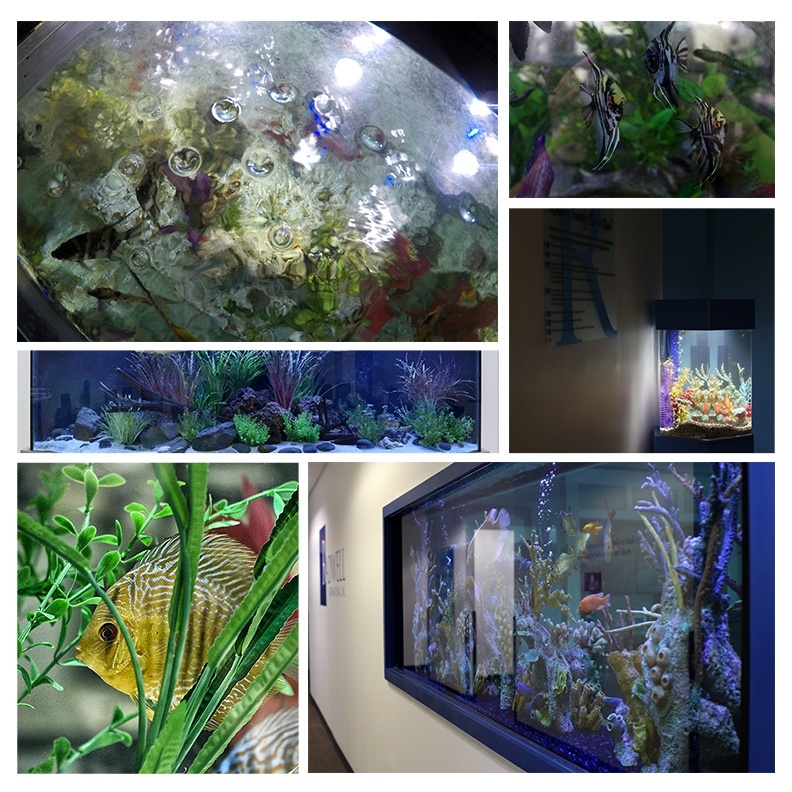 And that’s a day in the life of a Building & Aquarium Maintenance Associate at Radwell International.